Could you be the most beautiful skin in the (virtual) world? But when I read Tuli’s update notice about her latest release I have to say I was a little bit, well, perturbed. Her note stated that this forthcoming production was going to feature “..characteristics from the Eva and Hope lines, with a softer shaded body and less saturated skin tones for an overall matte look..” So this was going to be a mash-up of previous skins? How would this work, and was there any point in buying a skin that featured elements from previous releases? Surely what I want is funky fresh new skin happy rather than chopped up odds and ends? To be honest I felt overwhelmed with options at this point too, even before I’d tried on any demos. Not only are there five skin tones with ten make-ups each to choose from, there are also fatpacks of all ten make-ups for the price of five (very generous that) I was sorely impressed with the THREE cleavage options that have been included to accommodate small, medium and large bazookas. Not everyone walks around the grid looking like Lolo Ferrari, and it’s nice that Tuli has recognised this. But would Jade be any good? Would she have her own individuality, despite her origins? I opened up my demo packs, and I glanced at the contact sheet for skin tone 1, and thought “Shall I?” Let’s backtrack for a moment because I don’t really do pale skins in Second Life, I always like a bit of colour to my chops. I think this stems from my blue-tinged skin in real life! But the question hung in the air, was it worth my time trying on a series of skins that I wouldn’t buy? Well, seeing as I wasn’t doing anything else especially pressing I thought what the hell, and tried them….and instantly fell in love. I never thought I would fall for a skin as hard as I have fallen for Jade. Sure enough, Tuli’s recent releases have been stunners and I’ve loved everyone of them, but yet again she’s upped the ante by producing probably the best series of make-up options yet seen upon the grid. She’s managed to combine Gothic and fantasy styling with high-fashion, making these skins an instant hit and accessible to all. This doesn’t mean that Jade is a safe choice for skin-wear, not at all, the variety of make-up options create an edge that leaves others standing in the shade. I love all of them, and I want more..more fantasy make-ups, more Gothically inspired tones..just MORE! You can do so much with these. You can have so much fun and if you’re a photographer, model or fashionista your options are endless. These skins will definitely encourage people to try alternative looks, and more power to them for that. It’s fantastic to see a fantasy skin with the edge of refinement that Jade provides..can you imagine elf-ears with this? Wow! Having calmed down a little I elected to make a move on one of the other skin tones. I decided to try Tone 3, a medium fleshtone. Tones 2-5 offer different make-up options to tone 1, but they are just as ‘wow’, in fact, they are summery with a capital ‘S’, with a gorgeous colour palette featuring mouth-watering sorbet shades and deeper, classier tones. I’m sold..hook line and sinker…I want them all! You can see various photos of me sporting the skins in my Flickr stream, but please bear in mind I am wearing demo skins, hence the white lines on them. It does prove a point though, if they look this good as demos, imagine what they look like normally! These ‘Tuli’ Jade skins are probably the best available on the grid at the moment. They are destined to be an enormous hit, but don’t let the popularity put you off. The make-ups allow for a myriad of different looks which makes forking out for a fatpack a genuine necessity. Are they expensive? Well, they cost L$4950 BUT bear in mind what you’re purchasing, and how much wearability they have. Once you break it down, it’s not such a scary amount of Lindens to invest…and ‘Jade’ is a true investment. As much as I adore my Curio, Laq, League, Rockberry and various other skin-beauties, which are all wonderful in their own way, I have to say that Tuli has successfully raised the bar yet again for skin makers with this release…and that makes me very excited indeed. All of them have the opportunity to raise it even higher, making us skin fanatics very lucky girlies. What’s next I wonder? I await with baited breath…until then, I’m the girl in the corner, looking stunning in ‘Jade’. Jade is available from TULI NOW. 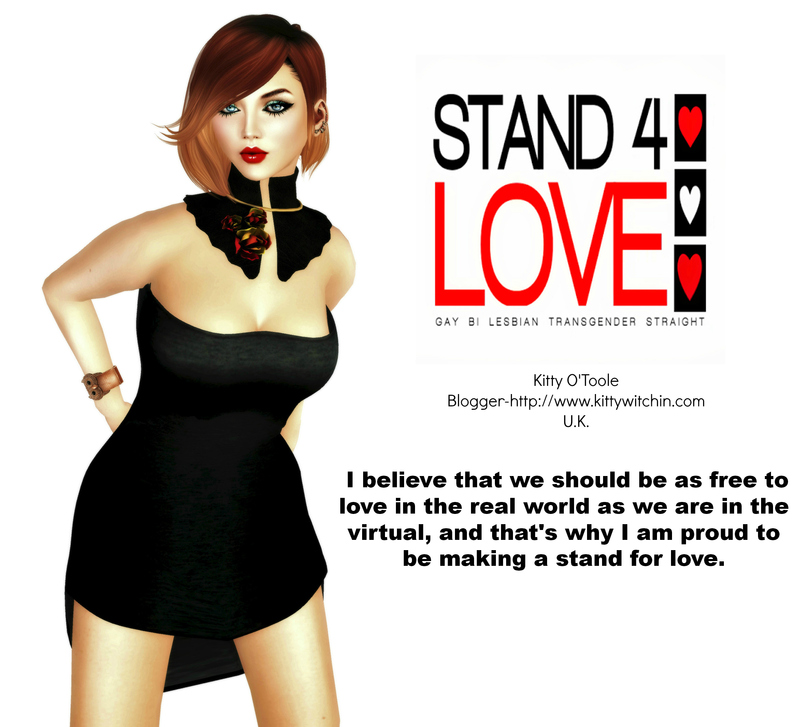 Twilight in Second Life, RP worth sinking your teeth into!